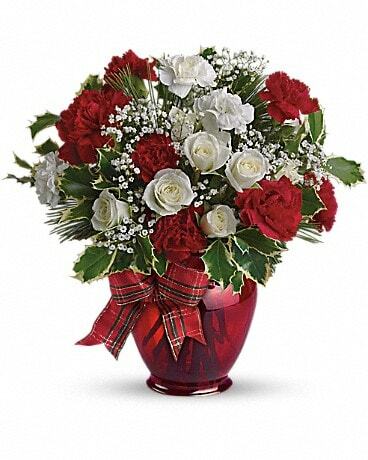 The splendor of the season is beautifully captured in this traditional holiday arrangement. 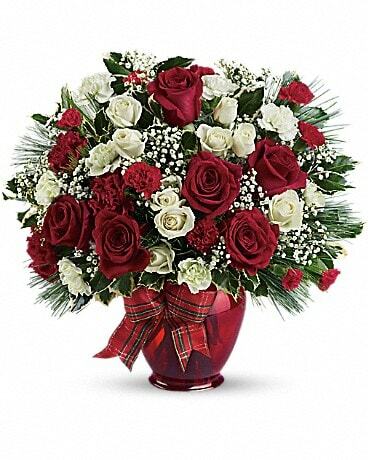 The mix of blossoms, holiday greens and textures is a brilliant way to say Merry Christmas! 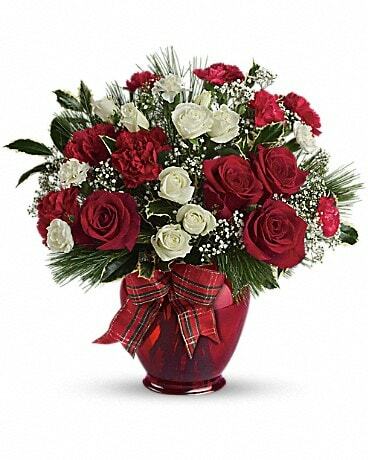 The splendor of the season is beautifully captured in this traditional holiday arrangement. The mix of blossoms, holiday greens and textures is a brilliant way to say "Merry Christmas!"